I love packaged media such as DVD – in the old days – and now Blu Ray. Packaged media will always have the upper hand when it comes to quality of picture and sound so let’s hope it’s here to stay. Nevertheless, there are so many of us who download TV shows or even want to have easy access to a library of movies without having to lift our back sides off that comfortable couch. Since this problem is not new, many options are now available to do just what we want from Microsoft Media Centre PCs and appliances to games consoles like the Xbox One. In the following pages, I will show you my favourite solution that delivers the best balance of usability, features and quality. The audio and video quality when using an HDMI connection is excellent, regardless of the platform used: from Windows to Apple OS X to Linux. It is fully configurable to how you want it. It integrates with online movie and TV databases and downloads art, trailers and everything in between to store locally in your media library. After much research, I chose to use an Intel NUC. 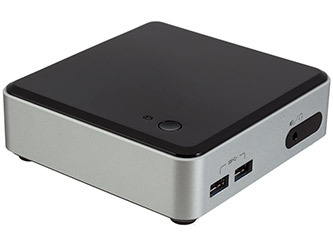 Intel NUCs are small – actually tiny – form factor PCs that come with a processor, but not RAM. You will need to buy that separately. What is great about them is that they are cheap, don’t require a lot of effort to build, look great and have all the connections you need – including an infrared sensor for your remote. If you’re only after 1080p (full HD) playback, any of the NUCs will do, even the celeron based ones. If you have a new 4K TV and want to future-proof your media playback device, you should buy one of the top performing NUCs as 4K is very CPU intensive: it uses a new codec (HEVC) that cannot be hardware decoded on current graphics processors. Now you may find other off the shelf PCs for a similar price, so do have a look around. The other option – if you’re adventurous, don’t have a lot of money and want to build your own PC – is to use a Raspberry Pi. There are many guides on how to build one on the Internet. Google is your friend! If you’re using a dedicated PC for your home cinema and you want to use XBMC, there is no better option than Openelec. 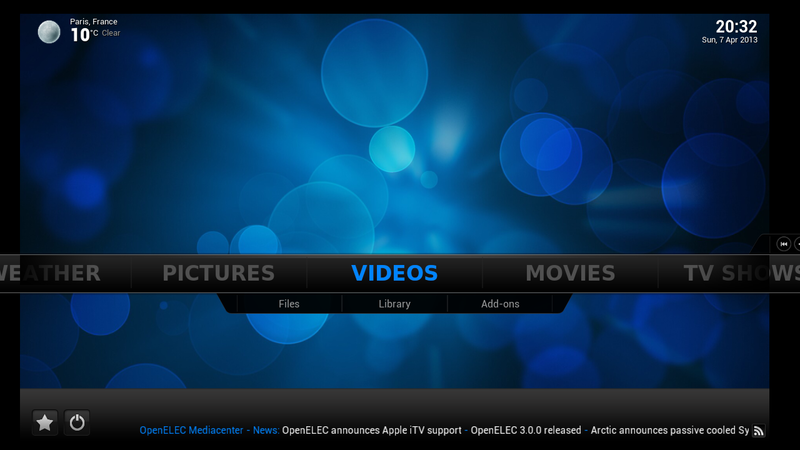 Openelec is a stripped down Linux distribution that boots straight into XBMC without any other hassles. While you could make Windows or Linux boot straight into the desktop and then open XBMC, Openelec starts up faster, is more stable and can be upgraded with a remote control. The same cannot be said for Windows, but especially Linux. Plus with Openelec you remove all the added distraction that Windows brings with itself. There are also many guides on the net on how to install Openelec so we won’t go into that here. Again, Google is your friend! It is also possible to install XBMC on your current Windows, Apple or Linux computer and even on the Apple TV and android device. It is great to do this to try our XBMC and see if you like it first. You simply download the relevant installed from the Internet and off you go. 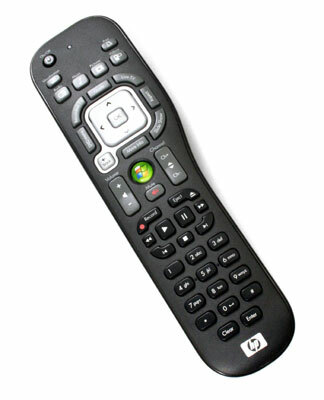 Pretty much any remote control that’s been built for Microsoft Media Centre will work. The one pictured below can be had for as little as AU$15 on Ebay and has been tested to work. In fact I use one of these in my Home Cinema. 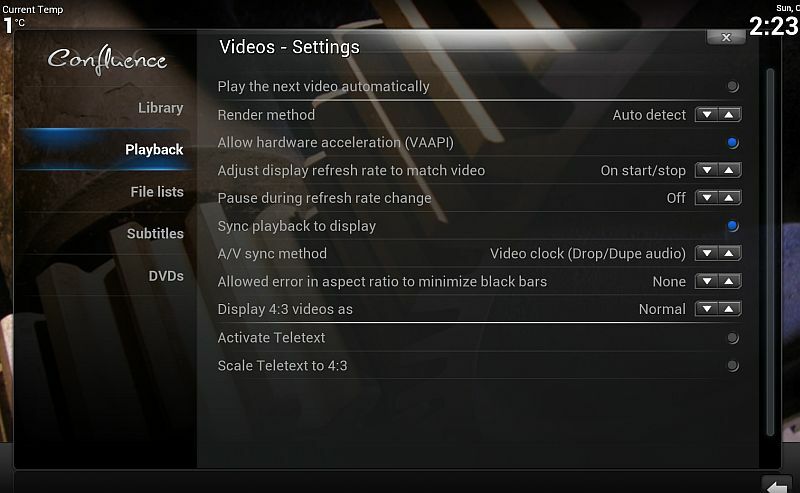 To get the most out of XBMC, pay extra attention to the following configuration aspects under settings. You may need to switch the settings pane to “Expert” to get access to some of the settings. For maximum picture quality, XBMC allows you to match the refresh rate of your display to your video OR match the refresh rate of your video to your display by speeding it up or down as necessary. These settings are under System –> Video and should be enabled. One or the other should work on all systems. For maximum sound quality, especially if you’re using an external receiver or amp that has Dolby D and DTS decoding, set the audio to bitstream in settings and tick which formats your receiver supports. These settings are under System –> audio. It is best to store files on a NAS – such as a QNAP – or alternatively using external HDDs. Whatever the case, XBMC allows you to add new folders to your library under the file menu for movies and TV shows. Once you have added the folders, XBMC will ask you what the folder contains and what (online or local) service to use to download movie / TV show information and art. 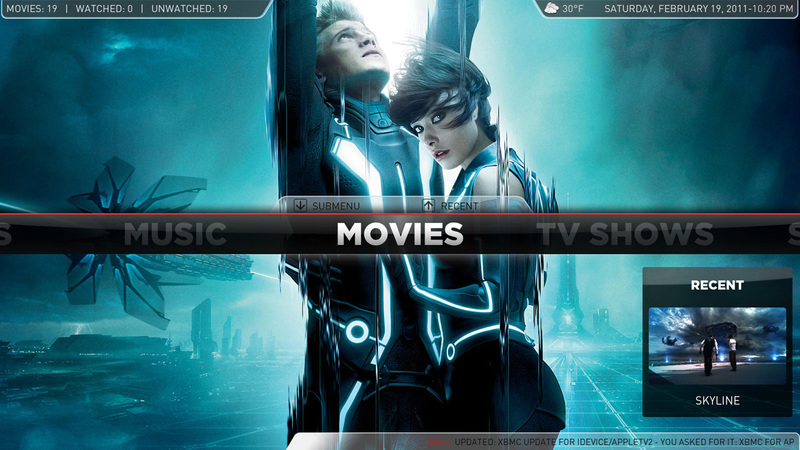 XBMC comes with a default skin called Confluence. It is functional. But XBMC can do a whole lot more. You can download and install new skins within XBMC or by downloading them from the Internet. One of my favourite is Aeon MQ (3/4/5 or 6). The skin is highly configurable and very functional and pretty. I hope that wetted your appetite for building an easy to use media playback device easily and cheaply. Enjoy!